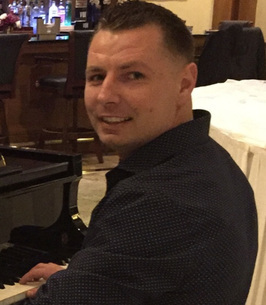 Lukasz Marianski of Wallington, entered eternal life on March 10th, 2018, he was 33. Lukasz was born in Ostrow Mazowiecka, Poland on June 9th, 1984 to Marek and Malgorzata Joanna (Markowska) Marianski. He was raised in Poland, and came to the United States on August 13th, 2005. He has lived in Wallington and has been working for granite counter-top manufacturers. His sister remembers him as a funny, happy guy, always laughing and making the best of any situation. He enjoyed working out at the gym and spending time with friends. Lukasz is survived by his beloved sister Karolina, her husband Konrad and nephew Eryk. He was predeceased by his mother on Feb 24th, this year, and his father on Jan 18th, 2006. Visiting 2-4 and 7-9 pm, Thursday, March 15th, and Friday, March 16th, 8:30 am - 9:00 am, Warner-Wozniak Funeral Service, 80 Midland Avenue, Wallington. A funeral Mass will be celebrated 9:30 am at The Most Sacred Heart of Jesus Church, 127 Paterson Ave, Wallington. Lukasz will be taken home and laid to rest with his parents at Cmentarz Komualny in Zambrow, Poland. To send flowers to the family of Lukasz Marianski, please visit our Heartfelt Sympathies Store. We encourage you to share any memorable photos or stories about Lukasz. All tributes placed on and purchased through this memorial website will remain on in perpetuity for future generations. Wieczny odpoczynek racz Ci dac Panie,spoczywaj w pokoju Amen.